From the series Tokage's home they had this hilarious and cute mushroom character - once again could not resist. 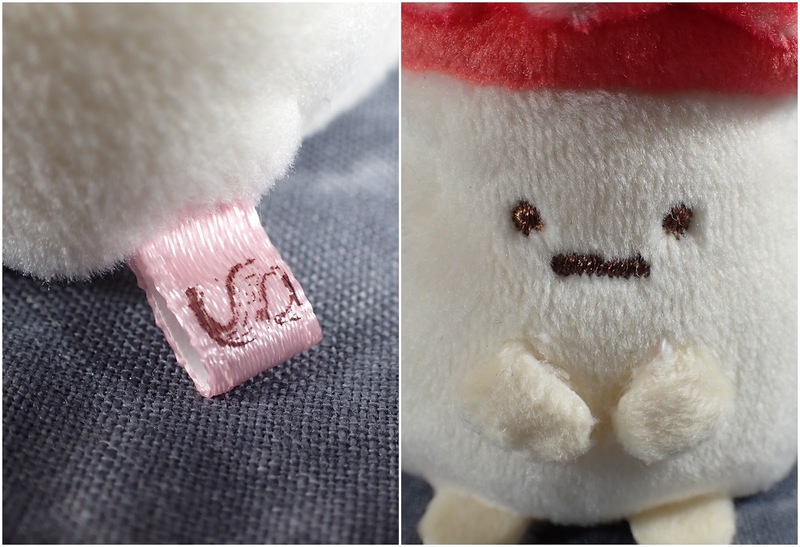 He has that fabric which is died a way in which it means when brushed a certain way its a different colour, you see this a lot on Pokemon Centre plush toys, however here it doesn't look the best because it is very noticeable on the edges of his mushroom cap. 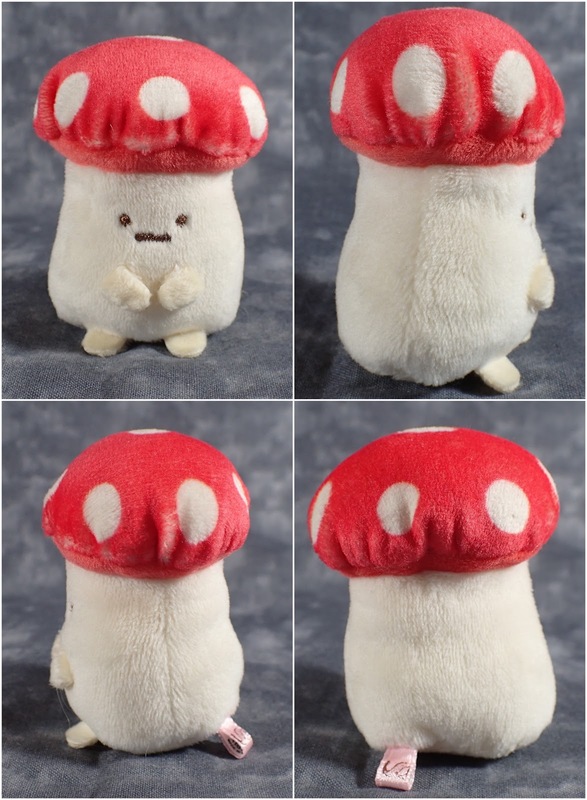 I would also like it if his cap was a little larger, but he is cute in spite of this and I think it will be amusing to perch him somewhere in my house so that people suddenly come across a strange little mushroom creature.